Exposure and feedback are two very important key aspects of developing as a musician, and we work to provide resources to meet both of those needs. Radio Hyrule also serves as a catalog, or compendium of Zelda music arrangements, covering as many quality remixes from throughout Zelda's history as possible. It is our goal to seek out and preserve creations that might otherwise be lost and forgotten with time. In addition to featuring content created by fan musicians, we aim to provide stories and news coverage about what is happening inside of the Zelda community. We want to get all the way down to what the fans are doing, and we hope that by doing so it will bring fans closer to one another. If you are a fan, or know a fan, who has done something meriting community attention, the best thing to do is contact us and we will look into writing a story. 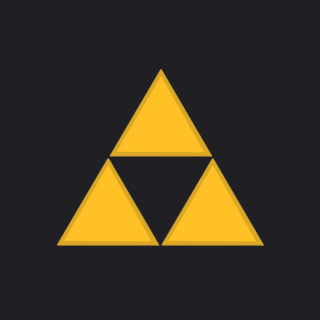 Radio Hyrule is one of three sites belonging to the "Zelda Music Network," the collective name for our vision to bring a full remixing community to the Zelda community. The other sites include Zelda Reorchestrated as well as ZeldaMusic.net, which is currently being built. Together, these three sites will strive to empower beginners and intermediates to be able to develop masterful skills which can eventually translate into a fully fledged career in the music industry. Radio Hyrule is fan-made and is in no way affiliated with Nintendo. All trademarks from the Legend of Zelda series belong to Nintendo. All rights to songs aired on the radio belong to their respective owners and are labeled as accurately as possible.